I was a little worried about this color when I first saw the bottle, but I should have know that with Zoya I have nothing to worry about. 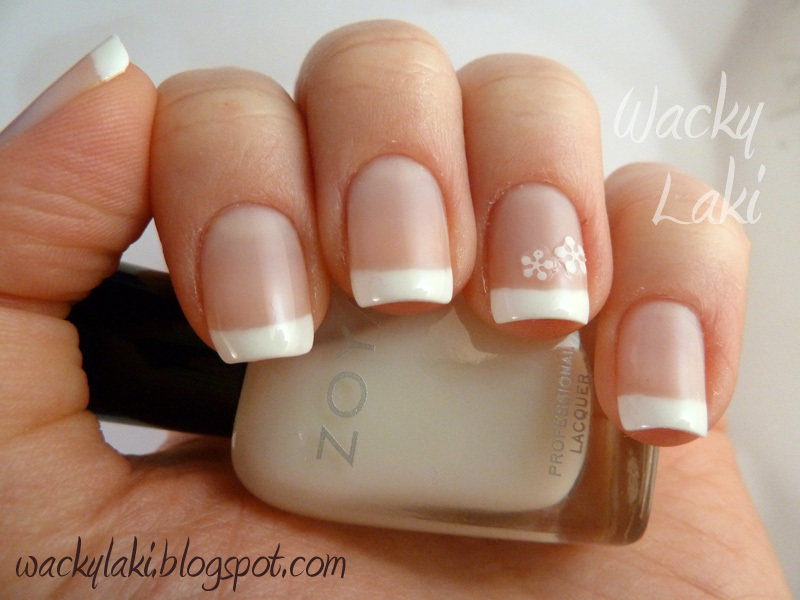 Zoya's Lucy is a very sheer milky white that is perfect for french tips. 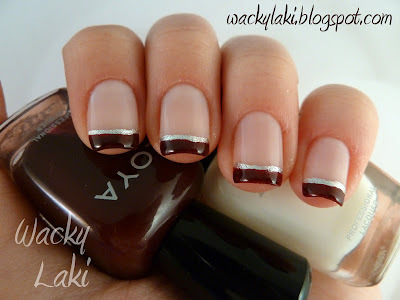 It brightens up the nail for a nice alternative to the sheer pinks that commonly accompany french tips. At first I swatched it all by itself, just to see what it would look like, since I do often just wear a nice sheer polish when I need something quick, clean and professional. This definitely meets the above criteria. This is three coats of the polish (no topcoat). With it being so light, I wanted something to really contrast with it, so I painted the tips using Zoya Sam which was still conveniently on my table from yesterday's post and this mornings comparison fest :). The silver line is using Essence Nail Art freestyle & tip painter. I need a bit more practice keeping a steady hand with that one, but overall I just love this combination! And of course I had to know how it would look with a traditional french tip. I must say it did not disappoint. Overall, this applied beautifully. 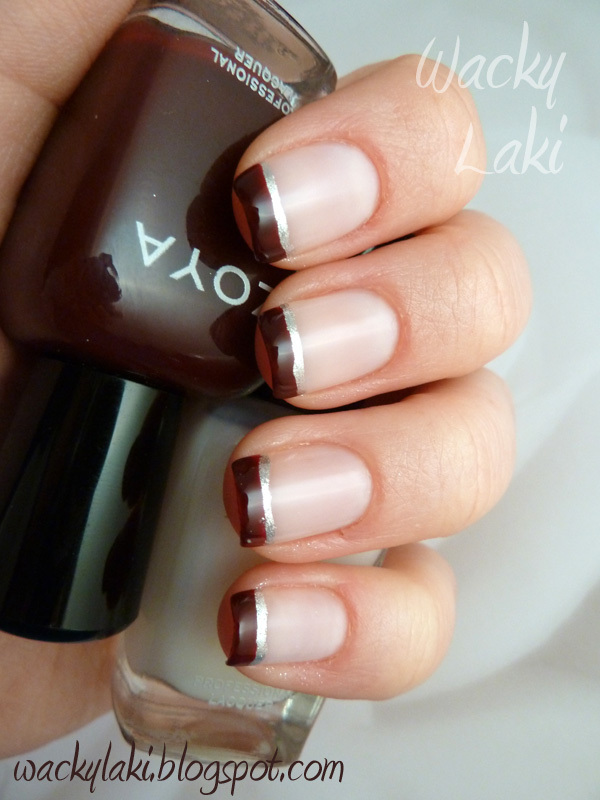 It is very sheer as expected, but it works great for a nice clean french manicure. For those that don't mind the visible nail line, this can easily be worn on its own. What a pretty polish! Your nails look great. Great and versatile color. Love all the looks!